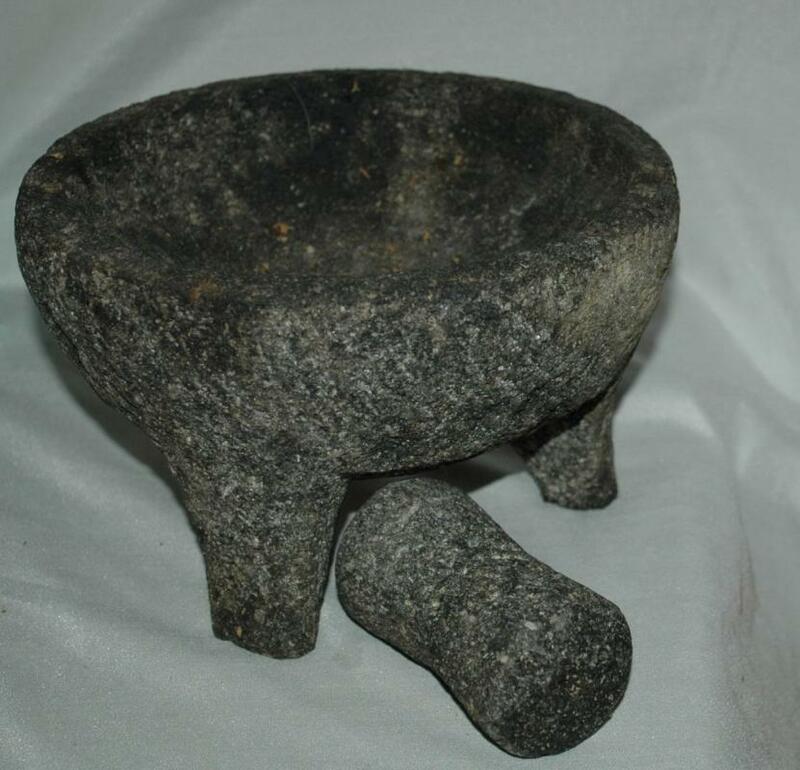 Large 8" Heavy Natural Granite Kitchen Mexican Style Molcajete Mortar and Pestle. It is 8.25" across and 5" tall. It is of rough surfaced granite to assist in grinding out the flavor in spices. It is previously own but in good condition. 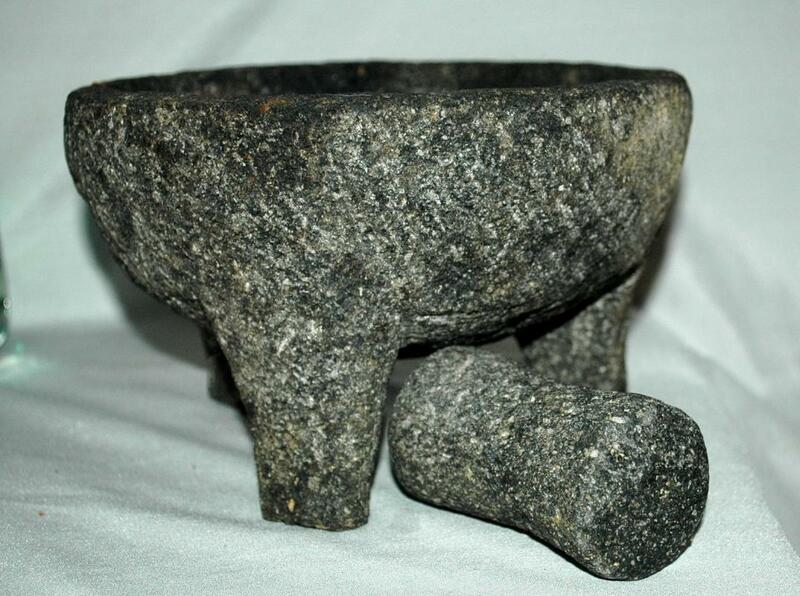 Items Similar To "Large 8" Heavy Natural Granite Kitchen Mexican Style Molcajete Mo..."